The copyright in all material provided on this web site (hereafter referred to as the "Site") is held by Pa-software or by the original creator of the material. Except as stated herein, none of the material may be copied, reproduced, distributed, republished, translated, downloaded, displayed, posted, communicated to the public by telecommunication or transmitted in any form or by any means, including, but not limited to, electronic, mechanical, photocopying, recording, or otherwise, without the prior written permission of Pa-software or the copyright owner. 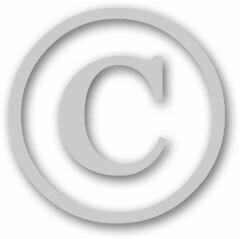 Permission is granted to display, copy, distribute and download the materials on this Site for personal, non-commercial use only provided you do not modify the materials and that you retain all copyright and other proprietary notices contained in the materials. You also may not, without Pa-software's permission, "mirror" any material contained on this Site, or on any other server. This permission terminates automatically if you breach any of these terms or conditions. Upon termination, you will immediately destroy any downloaded and printed materials. Any unauthorised use of any material contained on this Site may violate copyright laws, trademark laws, the laws of privacy and publicity, and communications regulations and statutes. All rights, title and interest not expressly granted are reserved. The trademarks, service marks, and logos (hereafter referred to as the "Trademarks") used and displayed on this Site are registered and unregistered Trademarks of Pa-software and others. Nothing on this Site should be construed as granting, by implication, estoppel, or otherwise, any license or right to use any Trademark displayed on the Site, without the written permission of the Trademark owner. The name of Pa-software or its logo may not be used in any way, including in advertising or publicity pertaining to distribution of materials on this Site, without prior, written permission. Pa-software and its associated logos, including but not limited to, product logos, in all their variants are registered and unregistered trademarks of Pa-software. All other trademarks and trade names are the property of their respective owners and used here for identification purposes only. THE MATERIALS ON THIS SITE ARE PROVIDED "AS IS" WITHOUT WARRANTIES OF ANY KIND EITHER EXPRESS OR IMPLIED. TO THE FULLEST EXTENT POSSIBLE PURSUANT TO THE APPLICABLE LAW, PA-SOFTWARE DISCLAIMS ALL WARRANTIES, EXPRESSED OR IMPLIED, INCLUDING, BUT NOT LIMITED TO, IMPLIED WARRANTIES OF MERCHANTABILITY, FITNESS FOR A PARTICULAR PURPOSE, NON-INFRINGEMENT OR OTHER VIOLATION OF RIGHTS. PA-SOFTWARE DOES NOT WARRANT OR MAKE ANY REPRESENTATIONS REGARDING THE USE, VALIDITY, ACCURACY, OR RELIABILITY OF, OR THE RESULTS OF THE USE OF, OR OTHERWISE RESPECTING, THE MATERIALS ON THIS SITE OR ANY SITES LINKED TO THIS SITE. UNDER NO CIRCUMSTANCES, INCLUDING, BUT NOT LIMITED TO, NEGLIGENCE, SHALL PA-SOFTWARE BE LIABLE FOR ANY DIRECT, INDIRECT, SPECIAL, INCIDENTAL OR CONSEQUENTIAL DAMAGES, INCLUDING, BUT NOT LIMITED TO, LOSS OF DATA OR PROFIT, ARISING OUT OF THE USE, OR THE INABILITY TO USE, THE MATERIALS ON THIS SITE, EVEN IF PA-SOFTWARE OR AN AUTHORIZED REPRESENTATIVE HAS BEEN ADVISED OF THE POSSIBILITY OF SUCH DAMAGES. IF YOUR USE OF MATERIALS FROM THIS SITE RESULTS IN THE NEED FOR SERVICING, REPAIR OR CORRECTION OF EQUIPMENT OR DATA, YOU ASSUME ANY COSTS THEREOF. SOME PROVINCES DO NOT ALLOW THE EXCLUSION OR LIMITATION OF INCIDENTAL OR CONSEQUENTIAL DAMAGES OR THE EXCLUSION OF LIABILITY IN CERTAIN CIRCUMSTANCES, SO THE ABOVE LIMITATION OR EXCLUSION MAY NOT APPLY TO YOU. Any material, information or idea you transmit to or post on this Site by any means will be treated as non-proprietary, and may be used by Pa-software or its affiliates for any purpose whatsoever, including, but not limited to, developing, manufacturing and marketing products. You are prohibited from posting or transmitting to or from this Site any unlawful, threatening, libelous, defamatory, obscene, scandalous, inflammatory, pornographic, or profane material, or any other material that could give rise to any civil or criminal liability under the law. Pa-software may at any time revise these Terms by updating this posting. By using this Site, you agree to be bound by any such revisions and should therefore periodically visit this page to determine the then current Terms to which you are bound. At Pa-software, your right to privacy is a primary concern. When you visit this Site, we help you maintain control over your personal data on the Internet. Please refer to the privacy guidelines we use for protecting the information you provide us during a visit to our Internet site. All use of Pa-software products are subject to the terms and conditions contained in the License Agreement and Non-commercial License Agreement that accompanies the product. Apple Macintosh and OS X are copyright Apple Computer Inc. All rights reserved. Microsoft, Windows and Active Directory are copyright Microsoft Corporation. All rights reserved. BSD Daemon is copyright 1988 Marshall Kirk McKusick. All rights reserved.